The chairwoman of the BBC Trust is facing calls to sever ties with HSBC after it was revealed that she earns £10,000 a day from the scandal-ridden global banking giant. Rona Fairhead, who was questioned by MPs from the Culture, Media and Sport Select Committee on Monday, has worked for the bank in a variety of roles including as a non-executive director, earning hundreds of thousands of pounds in the process. Last year she earned over £500,000 from HSBC – a figure which dwarfs her £110,000 salary from the BBC, for which she works a three-day week. The BBC Trust has said Fairhead's HSBC connections would bar her from overseeing complaints by the bank regarding coverage of the tax evasion schemes the HSBC’s private Swiss branch is alleged to have taken part in. Last month, a BBC Panorama documentary exposed practices including the setting up of so-called black accounts and the handing over of large amounts of money to clients in various currencies. Since becoming the first woman to chair the BBC Trust in October 2014, Fairhead, who has spent her career in business, had been heralded as a reformer at a critical time for the corporation's future. 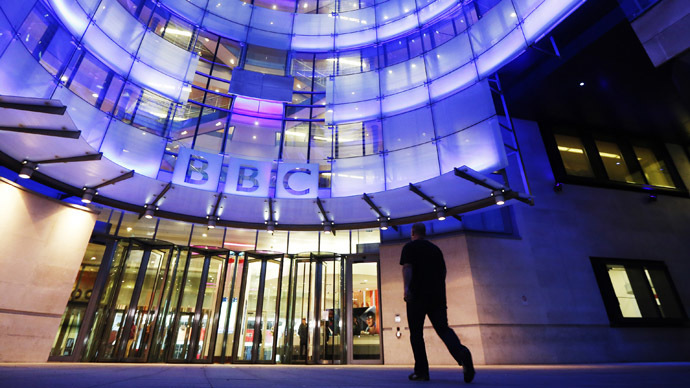 Last Wednesday, the BBC was heavily criticized over the sale of its former Television House studios in West London to a consortium. As part of her comments on the issue, Hodge added that Fairhead's role as head of HSBC's audit and risk committee at the time tax evasion schemes are said to have been operating “does raise issues” for the BBC.